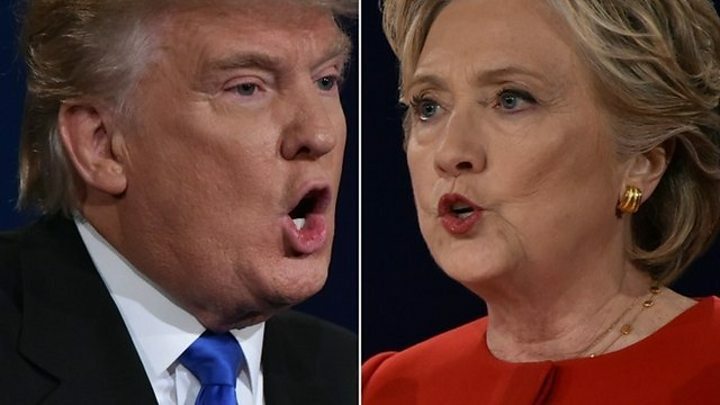 US Republican candidate Donald Trump has said he may hit his Democratic opponent Hillary Clinton harder in the next presidential debate, following their first encounter on Monday. Mr Trump said he held back "because he didn't want to hurt anyone's feelings". In a Fox News interview, he also accused moderator Lester Holt of being tougher on him than on Mrs Clinton. Overnight polls with small samples were split on who won, but more rigorous surveys are due in the coming days. Research firm Nielsen said 84 million Americans watched Monday's debate at home. It fell short of the 100 million viewers some had predicted, but broke the record of 80.6 million viewers who tuned in for the 1980 presidential debate between Jimmy Carter and Ronald Reagan. Who's ahead in the polls? Asked how he felt about the debate on the television news programme Fox and Friends on Tuesday, Mr Trump said it had gone well, but complained that Mr Holt had not pressed Mrs Clinton on her "scandals". "He didn't ask her about the emails, he didn't ask her about the scandals, he didn't ask her about the Benghazi deal. He didn't ask her about a lot of things he should have asked her about. Why? I don't know," he said. He said he felt tempted to bring up "the many affairs that Bill Clinton had", but held back because the Clintons' daughter Chelsea was in the audience. "I may hit her harder in certain ways. I really eased up because I didn't want to hurt anybody's feelings," he added. Asked whether Hillary Clinton had got under his skin, Mr Trump said "at the end maybe, at the very last question". Mrs Clinton had brought up the case of Alicia Machado, a former Miss Universe, saying Mr Trump called her "Miss Piggy" after she gained weight. But Mr Trump brushed away her accusation said Ms Machado had "gained a massive amount of weight" making it a problem for the Miss Universe pageants, of which he was the owner. After the debate, Mrs Clinton posted a campaign video in which Ms Machado describes how she had been treated by Mr Trump. I don't subscribe to the theory that Mr Trump overwhelming lost the debate last night. But he may well have lost it this morning. Mr Trump should sue his campaign for political malpractice. Why on earth was he allowed to go on morning TV and say former beauty pageant winner Alicia Machado had "gained a massive amount of weight. 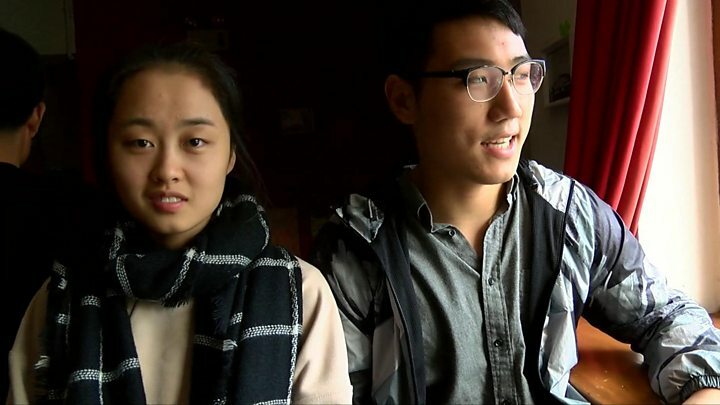 It was a real problem." That, or, better, he should look in the mirror and have a long hard think about his obsession with the way women look. No woman likes to be told her own weight is a problem and most women don't really like men telling other women that their weight is a problem either. Weight is an intensely personal, sensitive and often tricky issue for women and it is something women talk about a lot among themselves, usually with empathy and support. So we circle the wagons when a man talks disparagingly about a girlfriend's weight. "Miss Piggy" is about as bad as it gets. Mr Trump also said his microphone was "terrible" and crackled, and that his volume was lower than Hillary Clinton's microphone. He blamed this for what some listeners thought were sniffles by Mr Trump during the debate. 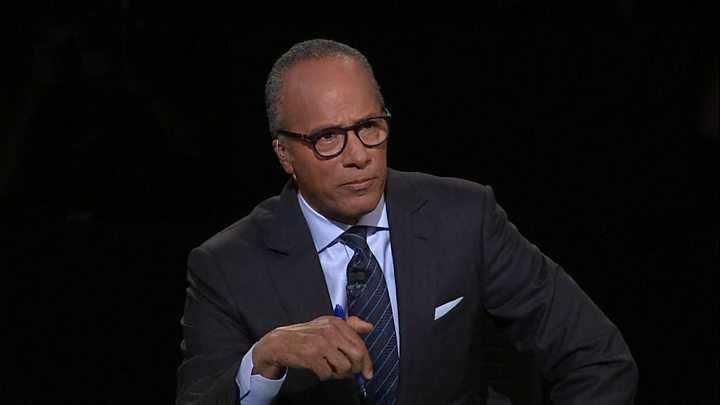 Profile: Who is moderator Lester Holt? Much of the debate centred on personal issues and attacks, with both candidates saying the other did not have the right character or temperament to become president of the United States. Mrs Clinton attacked Mr Trump's long-held belief that President Obama was born outside the US, accusing Mr Trump of having "a long record of engaging in racist behaviour". In a wider assault on his treatment of women, she said he had called women "pigs, slobs and dogs". A CNN/ORC poll taken after the debate found that 62% of voters who had watched the head-to-head thought that Mrs Clinton came out on top, with just 27% giving it to Mr Trump. This is based on interviews with 521 registered voters chosen as part of a random national sample. But only 26% identified themselves as Republicans while 41% identified themselves as Democrats. An informal CNBC poll on its website found that 61% of people thought that Mr Trump won while 39% went for Mrs Clinton, but as CNBC itself points out, the poll is not scientific - anyone, including people outside the US, appears to be able to vote. A post-debate survey by Public Policy Polling of 1,002 debate-watchers found that 51% of national voters thought Mrs Clinton had won, with 40% choosing Mr Trump and 9% undecided. New York Times - The editorial board was unimpressed with the debate, saying "when just one candidate is serious and the other is a vacuous bully, the term loses all meaning". Opinion writer Nick Kristof said Trump had "hurt himself", others said Mrs Clinton had "crushed" her opponent. Fox News - Pundits said Mr Trump had "struggled", "never took control" and "failed to exploit" the issue around Mrs Clinton's emails. "It helps to be prepared," one writer told the Republican candidate. Breitbart - Writers at the hard-right news website said Mr Trump had "bludgeoned" Mrs Clinton on trade and accused Lester Holt of "shilling" for Mrs Clinton. Some 75% of readers said Mr Trump had won. New York Daily News - The tabloid's verdict: "A grumpy loser! 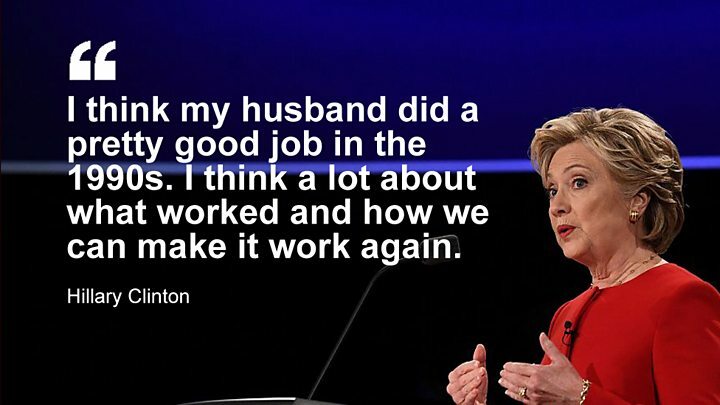 Trump pesters, interrupts Hillary throughout debate - but Clinton gets the last laugh." Media captionWho won the US presidential debate in the eyes of the Chinese? The much-vaunted role of fact-checkers in this debate was perhaps not as central as many expected it to be. Mrs Clinton's denial that she had called the proposed Trans-Pacific Partnership the "gold standard" of trade agreements was called out by fact-checkers, as was Mr Trump's denial that he had called climate change a hoax invented by the Chinese.